An industrial roof is a big investment, no matter the size of the business. 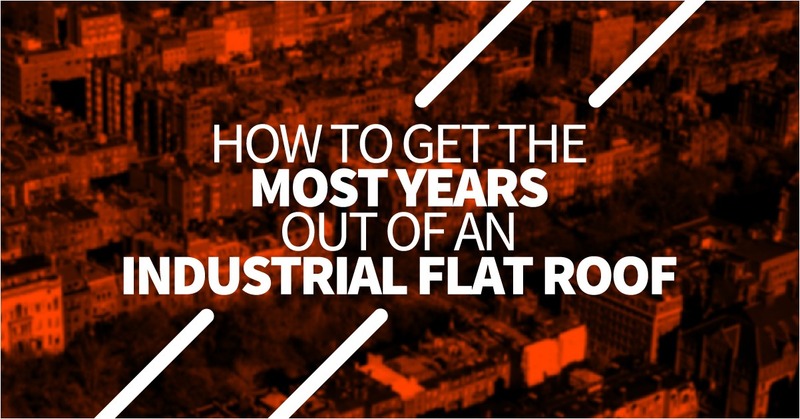 Industrial flat roofing is meant to be rugged and last for many years. However, if it’s not cared for properly, an industrial flat roof can fail before its time. 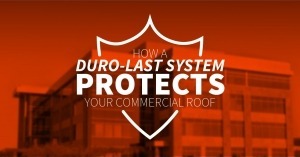 Here are a few pointers on making sure your industrial roof lasts as long as possible. Industrial roofing and residential roofing are nothing alike when it comes to installation and care. Even the best residential roofer would have a different installation process for a roof on a home versus a roof on a commercial building. The smart option is to choose a contractor with comprehensive industrial flat roof installation experience. Check references for recent jobs similar to yours. Check licensing and insurance for prospective contractors. Work with a local, established roofing business. Regular maintenance is essential to the longevity of industrial roofing. Your roofing contractor should be able to provide routine maintenance and check-ups to catch problems while they’re still small or before they happen. Periodic inspections should be a priority, as should inspections following extreme weather. Flat industrial roofs are susceptible to damage from high winds, falling debris, heavy downpours, hail, pooling water, and more. Having the roof inspected after an extreme weather event can help you know where issues are or may be developing. This allows you to take action before your operation is shut down due to roofing problems. An industrial roof can require updates and repairs, as well as expansions and refits as the business grows and changes. An experienced contractor should be able to help you determine the best plan of action for your roof. Such a plan should account for future roofing requirements, regular maintenance, and emergency services. Industrial flat roofing can be unexpectedly delicate, especially given its reputation for durability. There are things you might consider doing when there’s a problem, like going up on the roof to look around, that could cause additional harm. A professional roofing contractor will be able to find leaks and other problems more efficiently than you might; if in doubt, call your roofer. 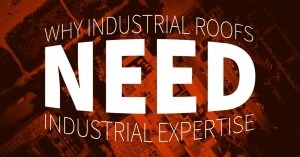 An industrial roof requires maintenance and specific knowledge. At Vanguard Roofing, we have the experience and knowledge to keep your flat roof in excellent shape. Contact us today for your free consultation!